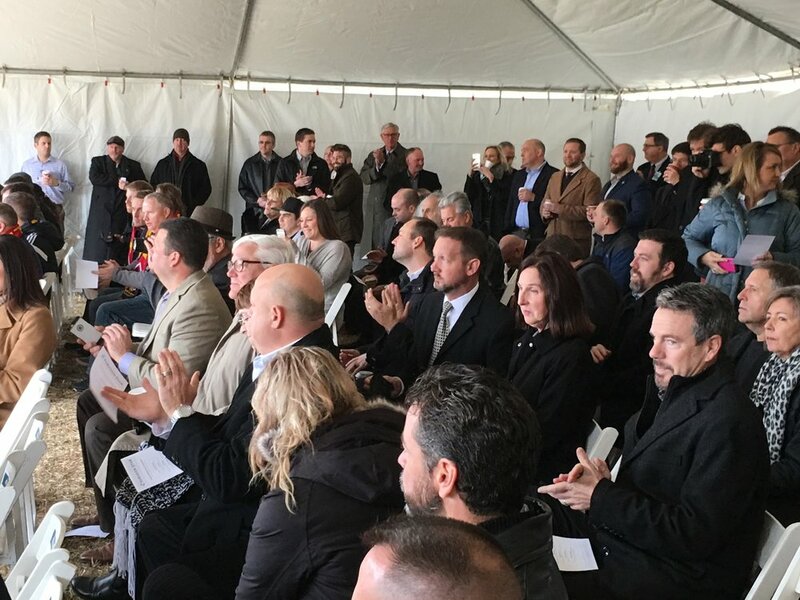 Nearly 200 people were on hand Wednesday morning as developers, along with local, county and state officials, broke ground for the 130-acre Paragon Star development at I-470 and View High Drive in Lee's Summit. The mixed-used development will be anchored by a sports complex which will serve as the new headquarters for the KC Select Soccer Club. Plans for the development also include, retail, residential, hotel and office development. The initial $212 million initial phase of the project includes construction of 10 FIFA regulation artificial turf fields and clubhouse, as well as a 220-unit multi-family development, 90,000 square feet of office space, a 120-unit hotel and 79,000 square feet of dining and entertainment. The $400 million project is being led by Lee's Summit developers Flip Short and Bill Brown. Prior to the ceremonial first turn of the shovels, the duo talked about their vision for what will be a destination development at Lee's Summit's western gateway. In addition to the the sports facilities, the project will feature walkable trails, including access to the Little Blue trace and Katy Trails, as well as sustainable design and construction throughout the development. 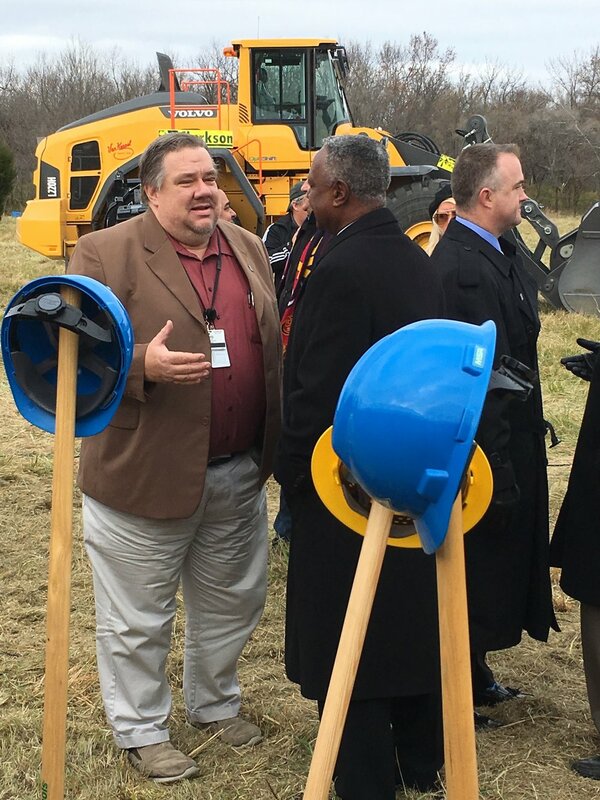 Also speaking at the event were Lee's Summit Mayor-Pro Tem, Rob Binney, Jackson County Executive Frank White Jr., KC Select president Chris Travalent and Missouri Department of Economic Development director Mike Downing. 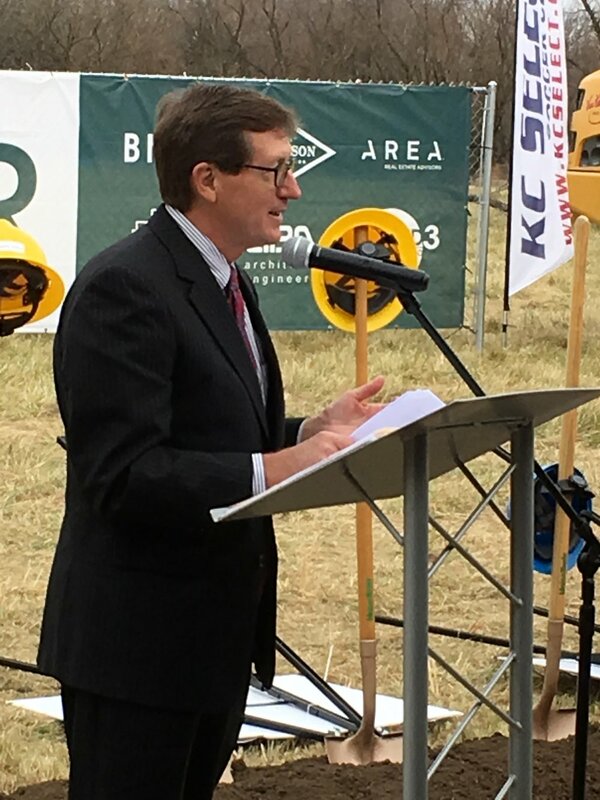 Lee's Summit Mayor-Pro Tem Rob Binney speaks on behalf of the City at the Paragon Star groundbreaking ceremony on Wednesday, Nov. 30 in Lee's Summit. Paragon Star was not the only Lee's Summit development breaking ground on Wednesday morning. NorthPoint Development and Neighbors Construction broke ground on Summit Square Apartments. The project is located off NW Donovan and NW Chipman Roads. When complete the project will feature 308 high-end apartment units.